It only takes a moment to change everything. I, like many others in Washington D.C., went to bed Sunday night without a care in the world. I woke up in the early hours of the morning, got dressed and went to work like I do every Monday. But for some people heading to work, breakfast or to get their morning coffee fix at Starbucks, life will never be the same. At 8:20 Monday morning an unidentified gunman opened fire at the headquarters for the Naval Sea Systems Command, killing twelve people and injuring about a dozen others. As a person who has previously worked and spent a good deal of time in the Navy Yard area, the news hit me hard while I sat at my desk on campus, ensconced away from the mayhem. But many weren’t as lucky as my classmates and me. Eight public schools in D.C. were on lockdown, along with Congress; and with D.C. alerts going out all day, updating people on the news of the case, no one was at ease. No colleges were put into lockdown, but the tension was certainly high for all of us. 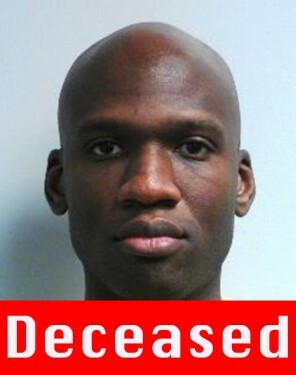 With one gunman, Aaron Alexis, dead at the scene the FBI was quick to alert the D.C. community of two more suspects, both on the loose. This, of course, is the last thing you want to hear when you live in a city like D.C. No area is too far away for the violence not to bleed into your home. For instance, Navy Yard is only a few miles from my campus at The George Washington University, and our close proximity to prominent government building makes us a prime target for anti-government violence. No information has been released yet as to why a 34-year-old Military contractor from Texas decided to skip breakfast and open fire on innocent men and women this morning, which makes the crime a terrifying unknown. For many, myself included, the next logical questions were, “What’s next? What else is coming?” If there were multiple gunmen, were there also multiple targets? After the shooting, The Bureau of Alcohol, Tobacco, Firearms and Explosives sent the same special agents team that helped apprehend The Boston Marathon Bomber, Dzhokahar Tsarnaev, to the scene of the crime. They, and other first responders, helped get the three victims in critical condition the emergency care they needed, care that quite possibly saved their lives. And hours later they were still working to find the unknown suspects, one of whom has now been cleared. The other possible suspect, who has yet to be located, has been described as a black man in his 40s with gray sideburns, last seen wearing an olive-drab military-style uniform. He came under suspicion after being seen on surveillance videos. 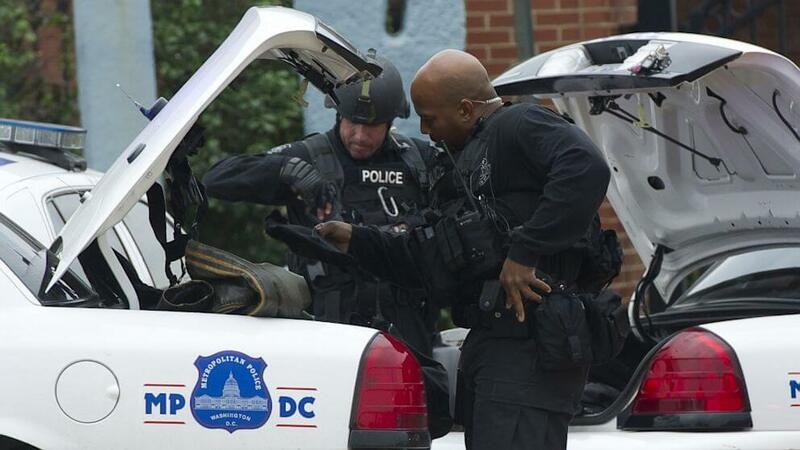 Police are still asking anyone with information on the suspect to call 202-727-9099. Alexis, the dead gunman, was allegedly armed with an assault rifle, a handgun and a shotgun; officials as of Monday night say that not all of the weapons have been accounted for. Alexis served nearly four years in the Navy, and may have continued to work for them after his time in the reserves ended in 2011. Officials are still researching why he was discharged from service, which may hold the key as to why he opened fire at the Naval Headquarters Monday morning. Right now Alexis' motive is mostly speculation, as different accounts are still pouring in from victims and onlookers. We do know now that the three victims in critical condition, as well as the other nine wounded will all survive, though that is a small victory in a day full of senseless violence and terrible loss. As the days progress the FBI hopes to narrow in on the last suspect and bring him into custody. But for now those of us in D.C. count our blessings and hold our loved ones close. As President Obama stated Monday afternoon, our sympathy goes out to the victims’ families, and we will do everything in our power to see those responsible brought to justice.